Most marketers are aware of the benefits of using hashtags on social media. However, there are still those individuals who are still not aware of the importance of using hashtags especially on social media. 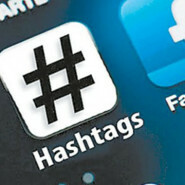 So what makes hashtags so important to social media and search engine marketing? You have probably seen hashtags everywhere. You can see them on Twitter, Instagram, Facebook, Pinterest, and many more. We first saw hashtags on Twitter when they used it before any word or words. The hashtags are tags that are hyperlinked in tweets. Each hashtag acts like a hyperlink to all of the tweets that have the same tag making it easier for individuals to find posts that are related to the same topic or hashtag. Since the widespread adaptation of the use of hashtags in Twitter, other social media platforms started to integrate the same concept. This makes the use of hashtags important. Using hashtags will increase the visibility of your content. This can get your business or your content the exposure it needs to reach the target audience. However, as exciting as it sounds, there are also rules that you have to follow. While using hashtags made it easier for people to search for every topic or keyword that is relevant to their business or interest, there are also exceptions. Using more than two hashtags can decrease your engagement to 17 percent. Therefore, as much as you would like to have many hashtags in your post, you need to be able to limit it. Another reason for limiting hashtags is that you might end up losing followers. It is important that entrepreneurs familiarize themselves with how it should be used. So how do you use hashtags? Using hashtags is really simple. Create your usual content but make sure that it is relevant and of high quality and add your hashtag within or after the post. Make sure to check out the trending hashtags that is related to your content as you can use this to boost your content’s visibility. An example would be using hashtags for venture capital posts. To make sure that your content would appear in this category, you can write #venturecapital within or after the post.